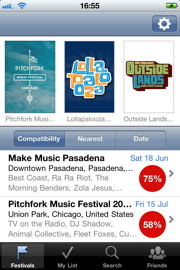 Last.fm – the Blog · Announcing Festival Apps! 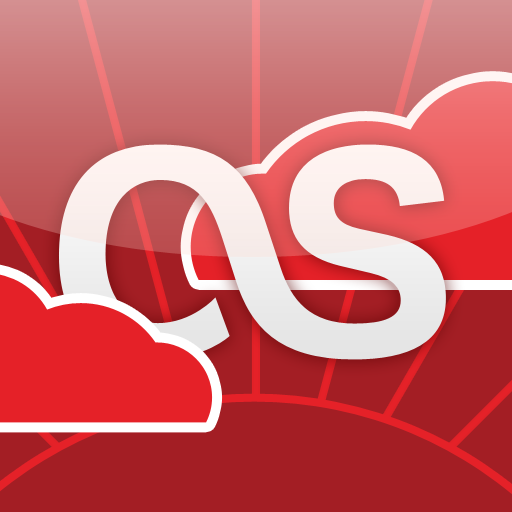 UPDATE 09/08/11: The app is now live in stores around the world. Music lovers have always flocked to festivals. When else would you be willing to travel to the middle of nowhere at the peak of the summer sun to brave mud, dirty toilets and ridiculously expensive drinks? And while we all know about some of the monsters of Festivals – Coachella, Glastonbury, Roskilde, SXSW and Fuji Rock – there are thousands of others that could be perfect for you. A little over a year ago, we announced the launch of Last.fm Festivals, your personalized guide to festivals around the world. This guide allows you to search for the festivals you want to see and discover festivals based on your scrobbling history. I am pleased to announce we have ported this functionality to new iPhone and Android applications. While there are several applications that use Last.fm’s APIs to provide you with similar functionality, the official Last.fm Festivals Application harnesses the full power of our recommendation engine to show you the festivals you should be going to. Drawing from Last.fm’s database of almost 2 million events, the Festivals App curates this down to approximately 4,500 upcoming festivals worldwide. The Festivals App also tells you the festivals your friends are attending, and gives you a virtual passport with which you can explore the world in search of more festivals, all with the tap of a finger. Have friends that aren’t scrobbling? 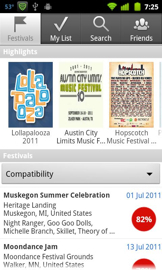 While the Last.fm App is most useful for active scrobblers, unregistered users can search for festivals by name or artist, find festivals closest to their GPS location, or by date. Everyone can learn more about artists playing at any festival in the world; complete with similar artists and bios. The initial release is only available to users in the US. Sorry! The app is now live around the world – keep an eye on the App’s group page for more information. Now download the app and get on the road! Oops, we got our numbers wrong. I’ve updated the total number of events we have in our database from 130k to 2 million (1,956,870, to be exact). We needed to make changes to our APIs to support a festivals-only application, and we had strict deadlines imposed on us by our sponsor. The size of the US makes it an ideal proving ground, and will allow us to launch worldwide with confidence in the near future. Hmpf. Nice. Why wasn’t this built in to the original Last.fm app? 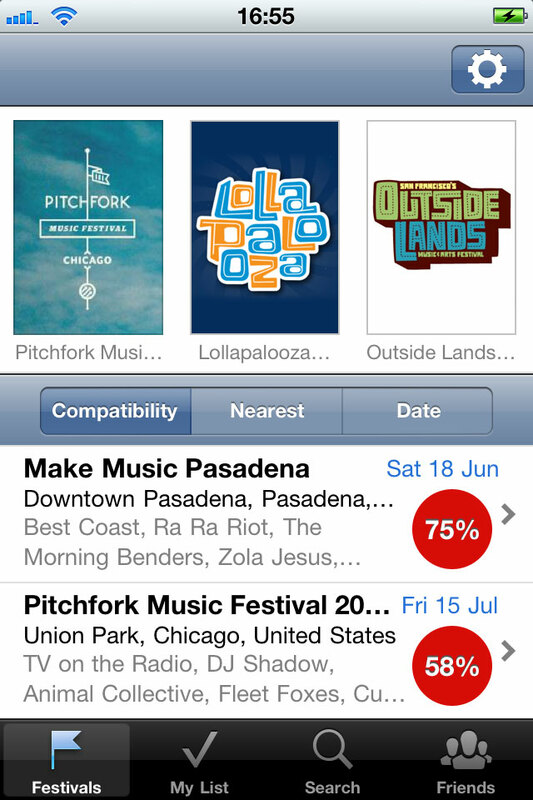 It would be difficult to include festival functionality in the original app without either burying it or making the app feel bloated. 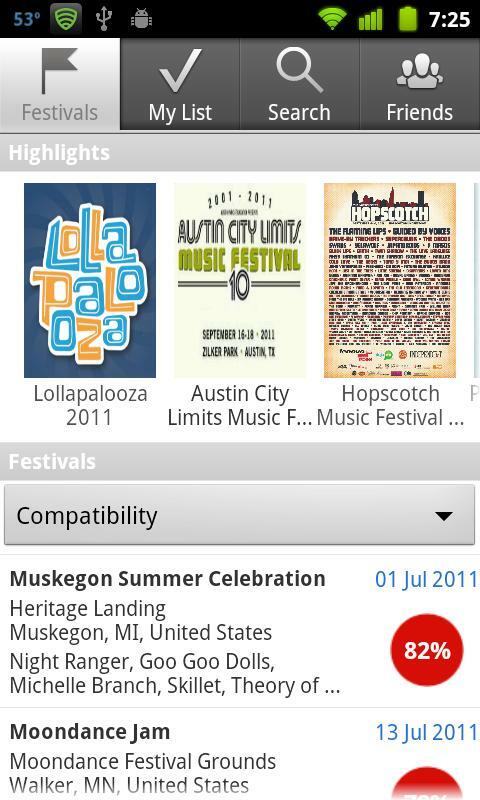 This festivals app solves a particular use-case which makes sense to seperate into it’s own app. Will this be coming to windows phone? only the us? and this is a uk based company? The app is now live around the world, entirely free of charge.